Just imagine for a moment, that the year is 1965 and you have been asked to come up with a name for a recently-developed, revolutionary kind of packaging for wine. The format itself has all sorts of qualities, including convenience (of transportation, storage and usage) and potentially simple recyclability. All you have to do is devise a name that might appeal to the people who are going to buy it instead of the glass bottles they are used to. If you’re an Australian wine producer called Thomas Angove, the term you have chosen is “cask”, a pretty good name that, after all, is calculated to put consumers in mind of the traditional way to store large quantities of wine. Your decision, coupled with a bit of work the following year from a team at Penfolds who introduced the tap, contributed to the phenomenal success of the format in both Australia and New Zealand. Over the following four decades, Australians grew used to getting around half their wine out of a tap rather than a bottle. This, in turn, in my opinion, helped to foster a genuinely aspirational attitude towards bottled wine which, after all, represented the more premium segment of the Australian market. also helped to build the market. The comment on the right comes from Vapiano, a wine bar in Queensland. If, on the other hand, you were British, you thought rather differently. You forgot about the consumer and focused on describing the product with almost Germanic precision. I’m not sure whether the first name you came up with was “metallised-film-bag-with-a-tap-inside-a-corrugated-fiberboard-box”, but the one you ended up with was the only marginally prettier “bag-in-box”. I suppose it’s a minor miracle that you didn’t call it a “bladder”. But just consider those three words – bag… in… box… for a moment: they’d be absolutely fine as a description for a container intended for battery acid (the use for which the format was originally conceived), but who ever imagined that it would have any kind of positive resonance with wine drinkers? Can you really imagine l’Oreal asking its customers to buy a “bag-in-box” of its hair dyes? Or any other company associated with quality consumer goods? The bag-in-box has never really taken off in the UK, maintaining a steady 10% or so of the market, while bottom-of-the-tank wine is still sold here as three-glass-bottles-for-£10. While the bag-in-box has recently done well in Sweden (thanks in part to the efforts of the Monopoly) and has gained a little traction in the US and in France (where it is known as “Bib”), it remains a poor relation of the wine packaging world. At a time when, for reasons of cost and environmental consciousness, we are increasingly looking for innovative alternative forms of packaging, ranging from Tetra to pouches, cans and PET, it might be worth remembering the cask-v-bag-in-box story and considering whether it might not be worth giving these new formats more appealing names. Wine drinkers are a relatively conservative bunch, as can be seen from the enduring popularity of corks in most markets and the traditional style of the majority of labels. If you want to change consumers’ behaviour, it’s probably worth taking the effort to put yourself in their shoes. Freshpack; Bacchus Pack; Winejug; Vincube; Winecube; Taptop; five minutes to dream that lot up. I could go on like this for hours and surely someone out there could do better than bag-in-box, close relly of cook-in-bag which sounds so much less appetising than 'sous vide' products from top chefs here. English is v frustrating sometimes. I always hesitate before telling people I am going to serve a frittata or tortilla 'lukewarm' or 'tepid'. Ugh! Apparently the BiB is called Bellville Briefcase in South Africa (Bellville is a suburb of Cape Town). Anyone's guess why. Thanks Eva. The Bacch-pack has real potential! And I agree re tepid food. And in Australia they are known as goons… . Yes, it looks like (here in Europe at least) the perception is that quality wine goes in a bottle with a cork, while cheap stuff goes in cartons, boxes, etc, and even screwtops are frowned at by traditionalists! 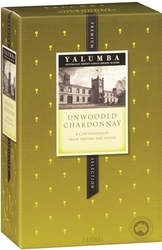 I was suprised to learn that a bag-in-box is called a cask down-under! I guess that's marketing for you! calling something the opposite of what it is to make the public accept it? The thing is, Fabio, with the exception of screwcaps – which work for quality wine (and are accepted for that purpose in Australia and New Zealand), the alternative packaging is absolutely intended for what I call Wednesday Wine – the stuff you don't really have or want to think about. And actually “cask” is clever because it's a bit like “draught” beer – stuff you tend to enjoy in quantity rather than the more premium bottled ale. I like it – though it makes me think of a Bib with a hole in it – but I haven't come across it very often. From @bjeCaWinenot only has it taken off in Sweden it is almost a movement. In truth, I don't care about the packaging as long as contents are good. I do like to 'age' wine though. Stuart Finlay (Via Facebook) From I have never heard consumers refer to “it” as bag in box….just amongst the trade. Wine box is what I would expect to hear, though not that much better compared to cask! Good point Stuart, but I see use by the trade as a negative.. I can't argue with that – but it still sounds marginal! To me the joy of this kind of packaging is the way it separates ageable, age-worthy wine from what most of us drink most of the time. Chateau Cardboard also found in Australian vernacular for these goon bags.